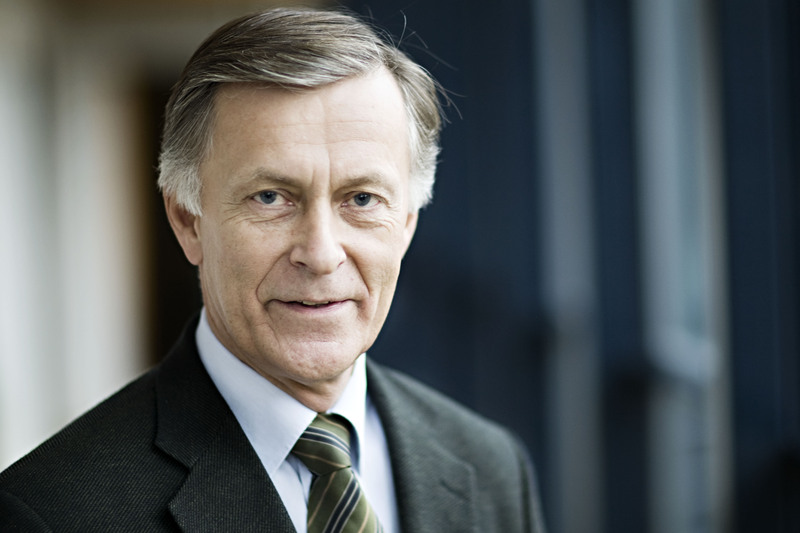 At the IUFRO World Congress 2010, Professor Niels Elers Koch, Director General of Forest & Landscape Denmark, a national centre at the University of Copenhagen, Denmark, was elected IUFRO President for the period until the next IUFRO World Congress in 2014. 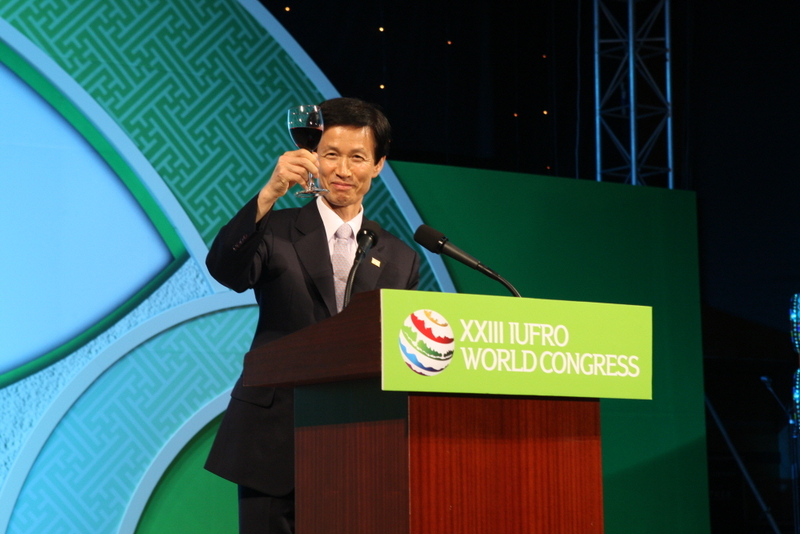 He follows Professor Don Koo Lee, Korea, in this position, recognizing his contributions to the development of IUFRO in the past five years. 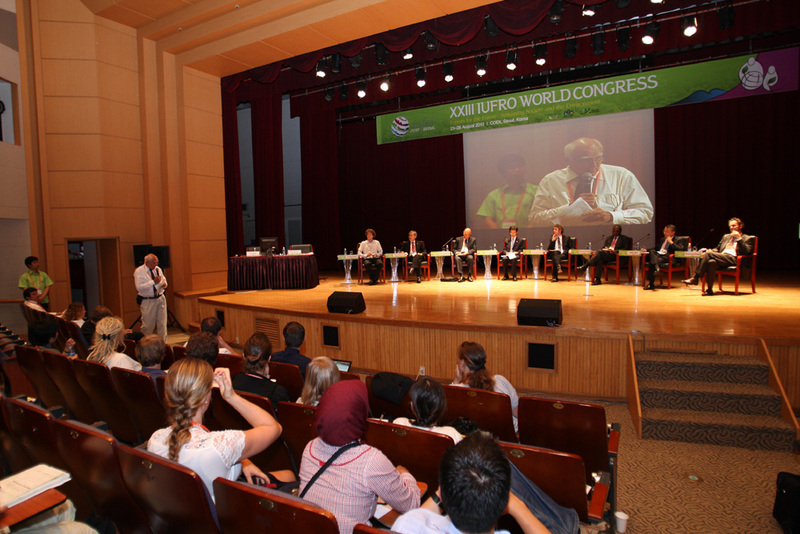 Q: Professor Koch, at the beginning of your first speech as IUFRO President at the closing of the XXIII IUFRO World Congress in Seoul, you underlined the importance of IUFRO for your personal career as a forest scientist. What can IUFRO do for a forest scientist today? 2 volumes of IUFRO’s World Series have just been newly published. 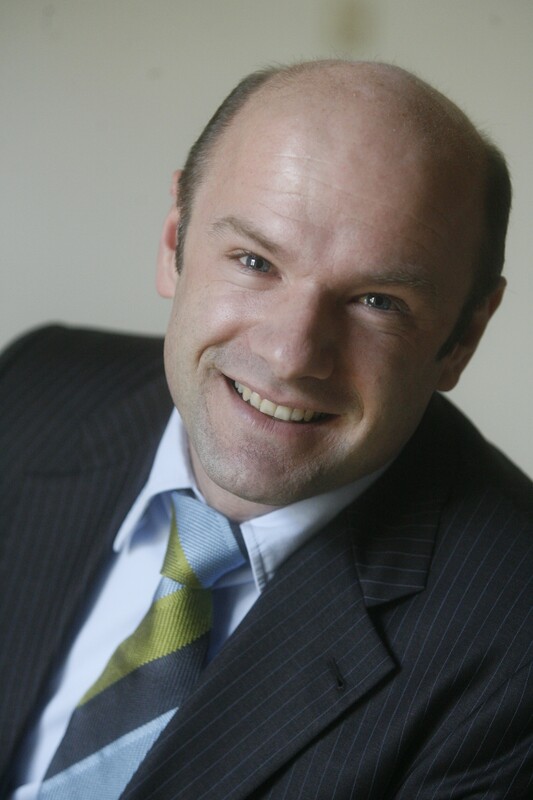 The IUFRO World Series was designed to give IUFRO officeholders a possibility to make their expertise known to a larger public. 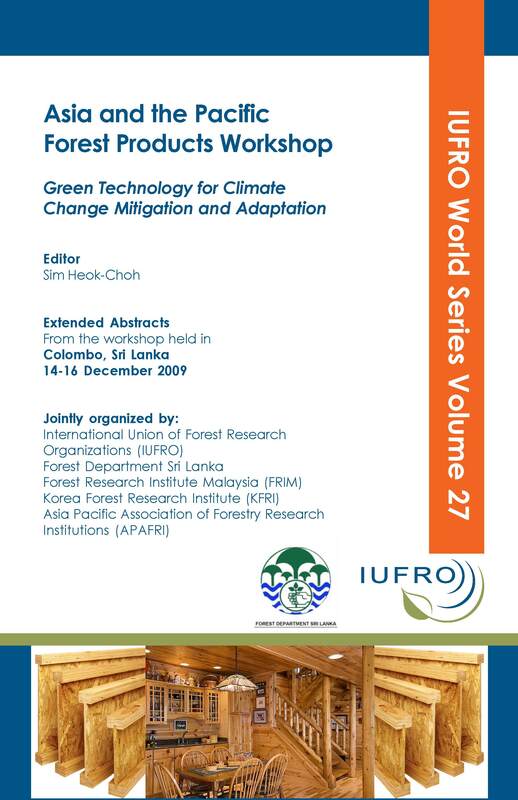 In most cases, reports resulting from IUFRO meetings, IUFRO Task Force reports or results from the work of IUFRO Special Projects and Programmes are published in this series. The main focus is on original research devoted to specific themes either in the form of collected articles or as single extensive contributions. 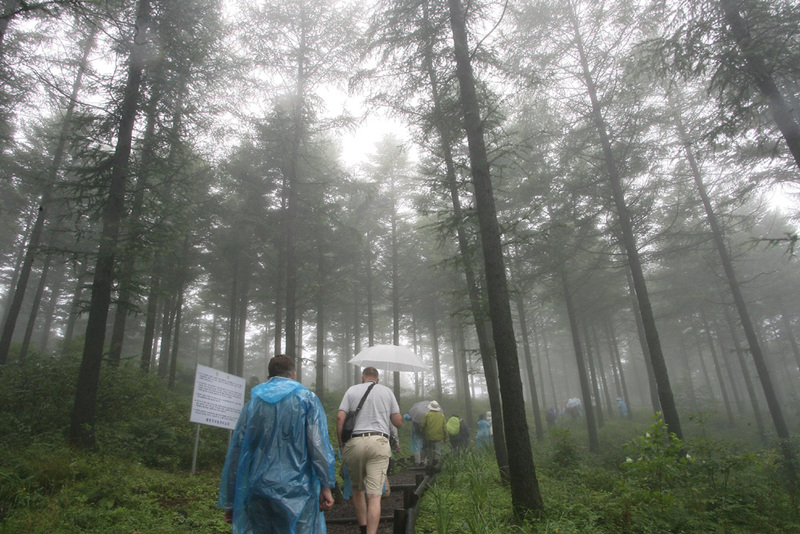 Many of the world’s forests and forestry are undergoing far reaching changes. An increasing number of global, complex, interacting environmental and socio-economic drivers of change affect forests and society. This book focuses on identifying the main global drivers of change and their direct and indirect effects on forests, forestry and forest dependent people. It proposes ways to reduce the adverse effects of these drivers and to take advantage of the benefits and opportunities they might bring. Climate change is a global problem, with global causes and effects. Climate change affects the basic elements of life for people around the world – access to water, food production, health, and the environment. Hundreds of millions of people will potentially suffer from hunger, water shortages, and more frequent severe natural disaster such as droughts, typhoons and floods, as the climate changes. Addressing climate change and dealing with the impacts requires urgent efforts by all. The main objective of the workshop was to provide a forum for linking various international, regional and national agencies and institutions dealing with climate change issues in forest products processing and utilization, and to share strategies, experiences and knowledge, related to green forest products technology. 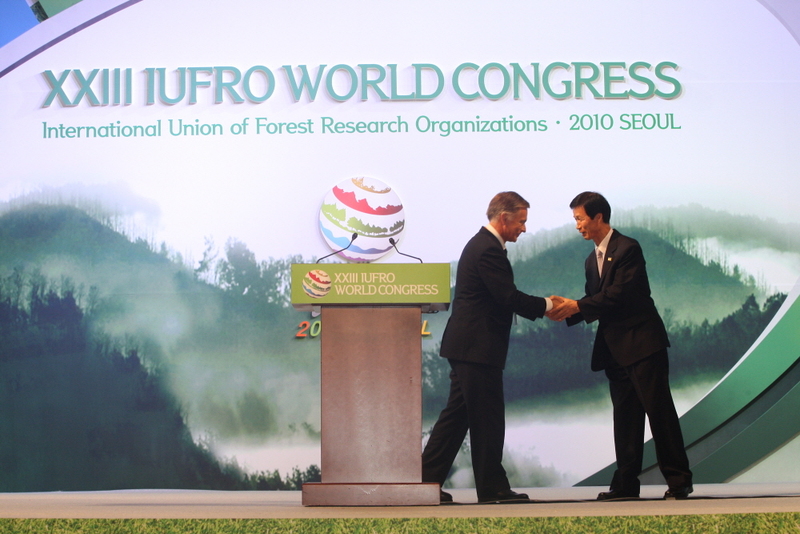 In the Seoul Resolution, IUFRO sets its goals for the coming years. The XXIII IUFRO World Congress “Forests for the Future: Sustaining Society and the Environment” provided a unique forum for presentation and discussion of the results of current global research related to forests and trees. The Congress explored a broad range of current and emerging issues of great importance for the future of forests and their capacity to provide the environmental, economic, social, cultural, and health benefits that sustain rural and urban societies worldwide. Focusing more on scientific research and international collaboration in six thematic areas: Forests for People; Climate Change and Forestry; Bio-Energy; Forest Biodiversity Conservation; Forests and Water Interactions; and Forest Resources for the Future. 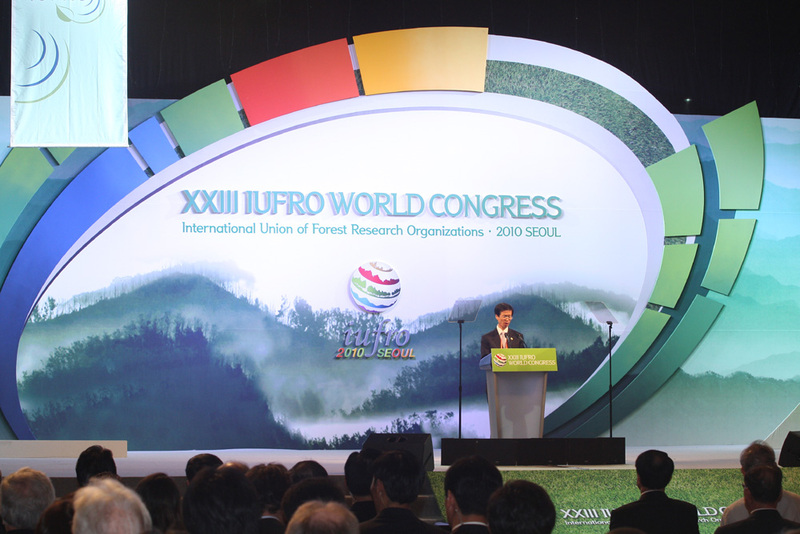 Promoting high-quality forest-related research and expanding IUFRO’s capacity for interdisciplinary cooperation; strengthening scientific capacity; relating the work of all IUFRO units to the six thematic areas; broadening IUFRO’s membership base; and identifying emerging issues and changing paradigms. Saturday was the sixth and final day of the XXIII IUFRO World Congress. After one more round of scientific sessions and administrative meetings, the day’s highlight were the Closing Ceremony and the Farewell Gala Event. Read more about it in Saturday’s Congress Daily. The participants of the Closing Ceremony heard about the decisions of IUFRO’s International Council, such as the election of the new IUFRO Board and President, the selection of the Congress venue 2014 and the selection of two new Honorary Members. 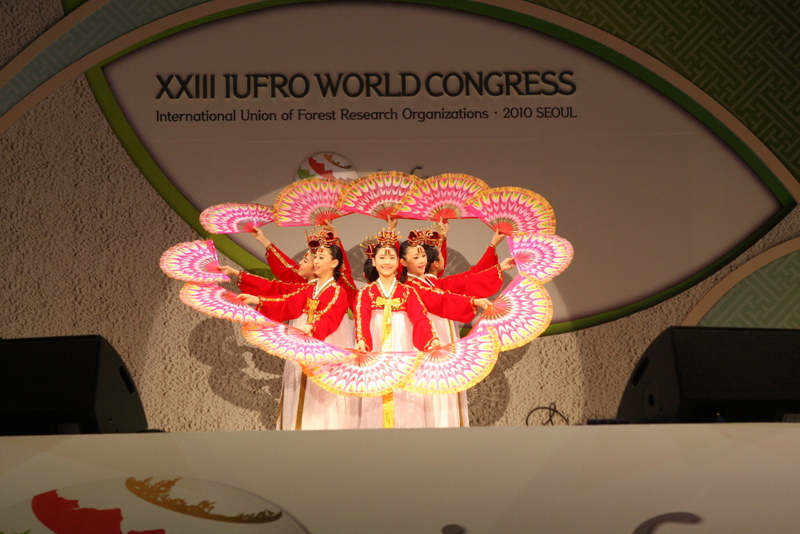 During the following Farewell Gala Event, there was singing, dancing, cooking and a lot of toasting, as IUFRO bid farewell to host country Korea and Korea bid farewell to IUFRO. Thank you for this wonderful IUFRO World Congress! Three days of the scientific programme of the IUFRO World Congress are already finished and many special events, such as the President’s Discussion and the Directors’ Forum, have taken place. Apart from hard-core science in sub-plenary and technical session, there have been in-corridor chats, in-corridor dancing and the Bibimbap performance. Visit the Photo Gallery to see all the latest pictures. Also read the “Congress Daily” for Monday, Tuesday and Wednesday to learn in greater detail what has been g0ing on at the Congress. And finally, you might want to see what the French Ministry of Agriculture posted on its website about the IUFRO World Congress! After four days of pre-Congress trainings courses, yesterday’s Opening Ceremony and the first round of plenay, sub-plenary and technical sessions, the XXIII IUFRO World Congress is now well in its second day. Read a short report of a forestry student and check out the pictures of the Congress picture gallery – enjoy!